As comment on the unjust verdicts in the Trayvon Martin and Jordan Davis murder cases lit up the blogosphere this month, I saw scant mention of The Orangeburg Massacre, in which three black students were killed and many more wounded when state police opened fire on a campus demonstration back in 1968. Forty-six years have now passed since then, and that event deserves to be better known and more widely remembered. 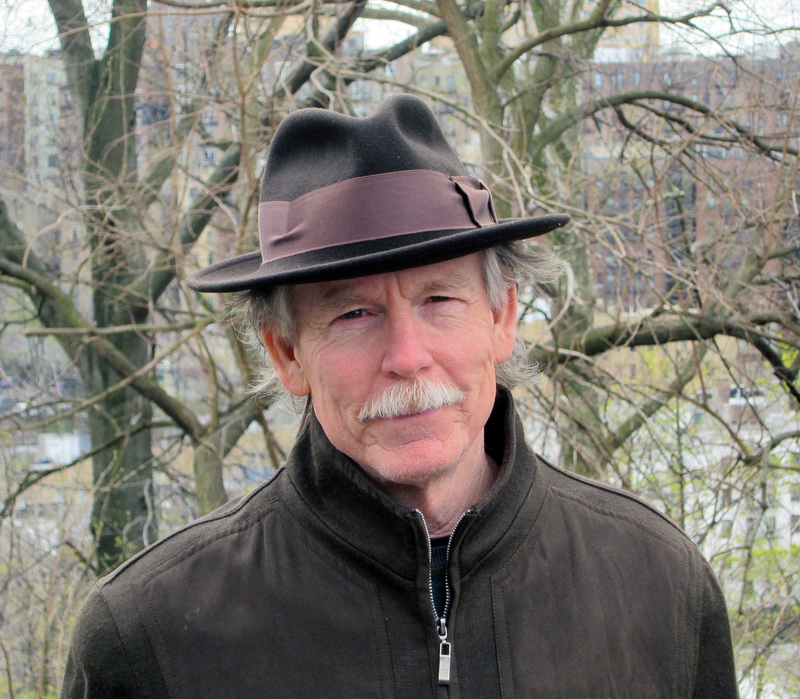 What follows is adapted from an article I wrote about it for The Boston Globe Magazine, published on February 10, 1985. 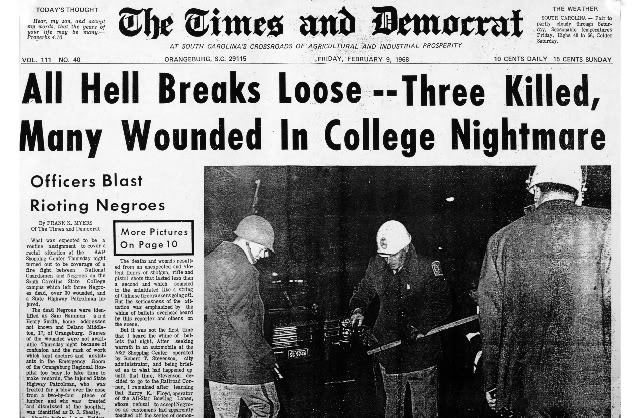 On February 8, 1968, more than two years before National Guard troops opened fire on demonstrating students at Kent State University, three college students were killed and 27 were wounded by state police gunfire on a different campus. As at Kent State, the students were unarmed. As at Kent State, they could not believe that they were being fired upon, and many were shot in the side and back as they turned and ran. As at Kent State, “snipers” and “insurgents” were blamed for provoking the incident; as at Kent State, neither snipers nor insurgents were ever found. But there the similarities between the two tragedies end. The shooting at Kent State sparked widespread outrage and protest, not only on other campuses, but at the highest levels of business and government – and among many American parents who realized that the dead and wounded students could have been their own children. The earlier shooting, however, went relatively unreported and is to this day virtually unknown. Why? Perhaps because Kent State, set in the heart of the Midwest, was a predominantly white, middle-class school, while the earlier shooting took place in Orangeburg, South Carolina, at South Carolina State College, where more than 95 percent of the students were black. Best to Forget King’s “Dream” Speech? On this 50th anniversary of Martin Luther King’s “I Have A Dream” speech at the 1963 March on Washington, it is time to recognize that the activists, artists, and common citizens who demanded fairness for black Americans were also creating democracy for all Americans. The meaning of their struggle lives not in the past, but in the present. Of course, as we commemorate that hot summer afternoon of August 28, 1963, we can’t help seeing the March as an old faded photograph and hearing the speech as a crackly old recording. These moments are past. We remember them and memorialize them. They happened then, and we live now. But if this is all we do, we are failing the vision of democracy King and many other African American activists have shared. For them, the past must be remembered but also overcome. For Americans too often assume that the Declaration of Independence and the Constitution settled our political problems long ago. All we have to do now is sit back and let these documents fulfill their promise. But as King pointed out, “Progress does not roll in on wheels of inevitability.” Democracy demands continuous action in the present. The Supreme Court’s decision earlier this year to overturn the crucial section 4 of the Voting Rights Act of 1965 perfectly exemplifies the harm a mistaken emphasis on the past can do. While the majority’s reasoning seemed to criticize the law for being outdated, it actually did the opposite. It complacently praised past accomplishments and overlooked deep threats to equality in the present. The Court observed that in 1965, the white voter registration rate in southern states was around 69 percent, the black rate only 19 percent. By 2004, the gap had shrunk to about 74 percent for whites and 73 percent for blacks by 2004. On this basis, he drew the further conclusion that the past has solved our present problems. Section 4’s work is over and done with. We don’t need it anymore. But this reasoning ignores the fact that after 1965 Congress had to invoke Section 4 repeatedly to ensure that minority voting rights continued to be honored. It ignores too that Republican-dominated state legislatures are at this moment passing new laws to widen the gap that the Act’s continuing enforcement had narrowed. In her dissenting opinion, Justice Ruth Bader-Ginsberg carefully documented these points. It’s no wonder, then, that Douglass and King were so wary of the past. This is why the best way to honor King’s great speech is not to remember it but to act on it. Indeed, his familiar words pull us so powerfully into the past that we might do better to forget about it – to recall a different speech delivered that very afternoon. John Lewis’s. I think King would agree that the best way to honor August 28, 1963 is to understand democracy as he and Lewis did: it is always uncompleted, and we must continue to act on its behalf. Now.